Since 2007, Łukasz has provided services to business entities. 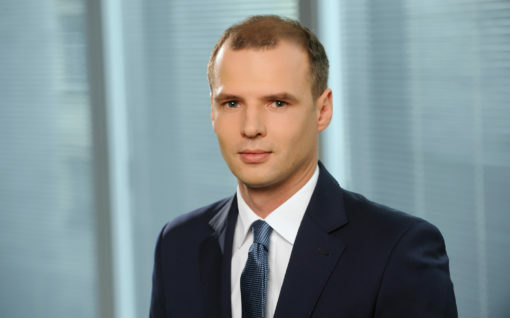 He initially gained experience as an in-house lawyer at the Capital Group of REDAN S.A. in Łódź, whilst providing services related to corporate affairs and corporate contracts to a joint-stock company listed on the Warsaw Stock Exchange in addition to several dozen other companies. After starting his advocate traineeship in 2010, he worked for the DAWID & PARTNERZY Law Firm in Częstochowa where he acted for business entities handling commercial and civil cases (in particular cases related to establishing a predial servitude and providing compensation for non-contractual use of land by transmission infrastructure) as well as criminal and economic cases. Łukasz provides services to budget units, handles civil and commercial disputes before courts, and also participates in public procurement procedures. He currently serves as a judge of the Disciplinary Court at the District Bar Association in Częstochowa. Membership: Częstochowa and Piotrków Bar Association. He passed her Bar exam in 2013. Education: University of Łódź, Faculty of Law and Administration (Master of Law, 2008).